This weekend (and part of last week) included a lot of moving around and trying new things! 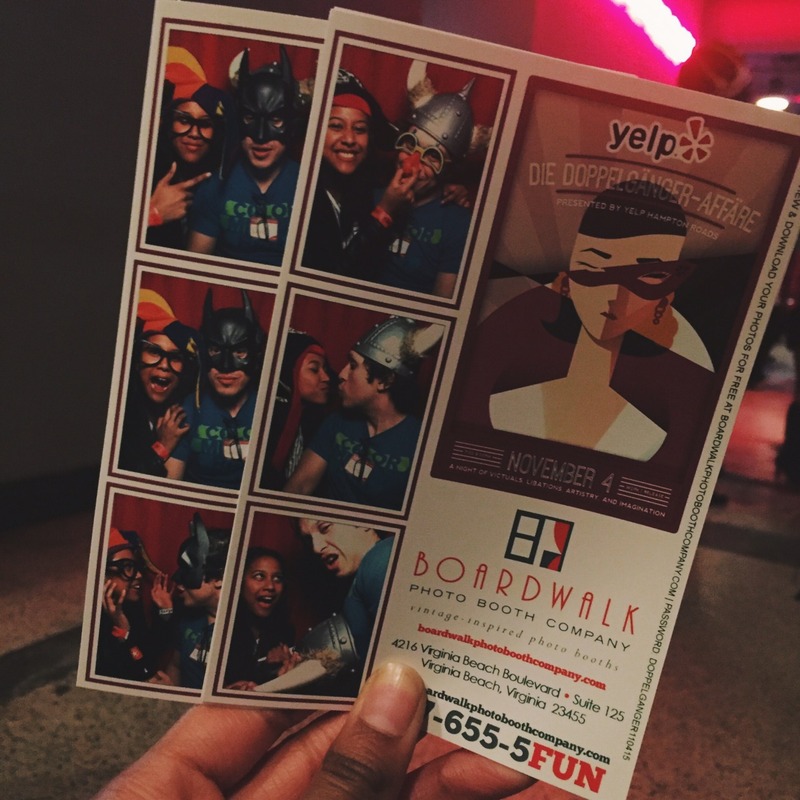 On Wednesday night, Daniel and I went to a Yelp event at Work Release in Norfolk and I’ve been dying to see what all the talk is about. The event itself was amazing, lots of local restaurants and vendors had really delicious food samples and I’m really intrigued to go check them out later. The actual venue was pretty cool. The inside was filled with a bar, a DJ booth, and video installations throughout the room. I would love to check it out again on a Saturday night and to see what other installations and projects they bring in later. I also had a really delicious blackberry ginger cocktail that was nicely priced to look forward to! 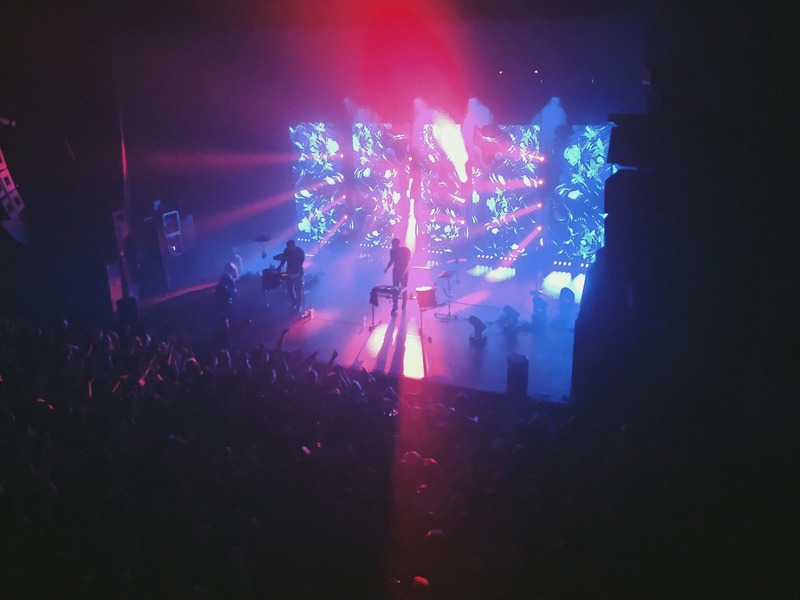 On Friday, I headed to Richmond to see Odesza play at The National to a sold out crowd. My friend Amira had VIP tickets so we got to experience the balcony there and have a great view of the show. The visuals were absolutely amazing and the whole vibe of the show was incredible. Everyone seemed to have a great time and it was really worth the drive. On Saturday, Daniel and I joined his roommate for brunch at Yoder’s Cafe in Virginia Beach. It’s connected to the Amish furniture store and a bakery and the sandwiches we had were beyond my expectations. We took a blueberry pie to go as well. After that we headed to Chesapeake to go to Big Ugly Brewery, which Daniel and I visited for another Yelp event previously. The flights there are fantastically priced, so we each enjoyed our own flight (I’m a huge fan of their pale ale) and sat in the bus and watched some soccer. Later that day we headed to Toast and enjoyed some late night meals and some drinks. The food was really delicous and I love seeing what flavors they come up with but the drink I had could have definetly used more inspiration. On Sunday, we headed to Handsome Biscuit for breakfast with friends I hadn’t seen in a while then headed to Borjo for my yearly pumpkin pie milkshake (even though I’m pretty much lactose intolerant, it was worth it). 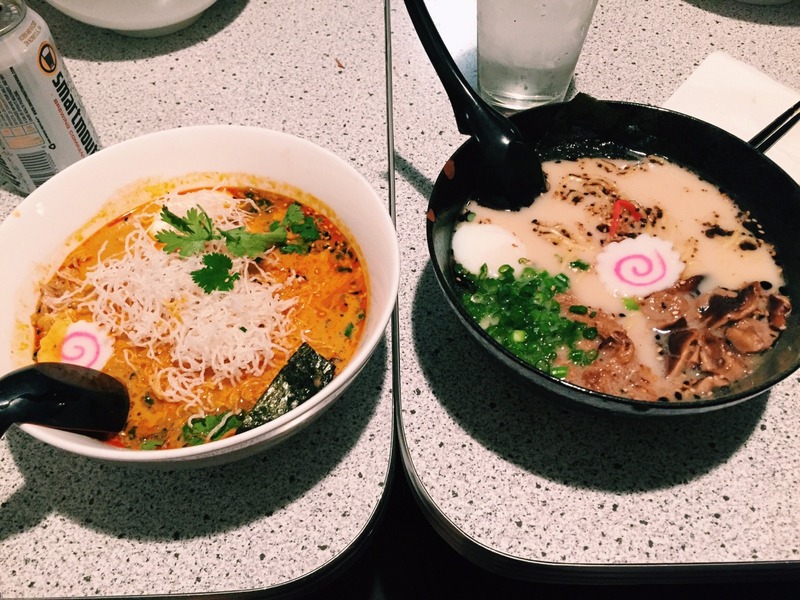 After settling down and doing homework, we took the long walk back to Ghent to finally try out Alkaline, a pop up ramen shop. It was perfect to try after my cold walk! I ordered the Tonkotsu and added pickled shiitake mushrooms. The pork was slow cooked to perfect and the broth was just the right flavor. The tater tot appetizer was also a huge win for me. I will definetly be coming back here, especially with the cold weather on the way! So that’s my weekend in a nutshell. I’m back to the school grind super ready for the weekend again, even with all of that running around and eating. This upcoming weekend, I’m looking forward to heading up to NoVa to hang out with Daniel’s family and friends and hopefully to see my brother. Until next time!